We believe your makeup should help you achieve a radiant complexion without sacrificing the health of your skin. If you agree, check out our assortment of healthy foundation – they’re 2-in-1 cosmetics that double as skincare products. Find your shade and begin promoting your skin’s health while beautifying it at the same time. What types of healthy foundations does Colorescience make? Your skin type is unique, and so are you. With that in mind, we made sure to develop our line of healthy foundation to cater to each individual and provide you with options to suit your needs. 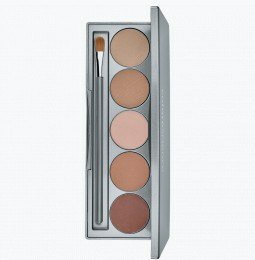 If you’re a fan of pressed compacts, we offer a foundation face powder. For those that prefer loose powders instead, check out our healthy mineral powder – complete with its own self-dispensing brush. Some people prefer liquid foundation, in which case we have you covered as well. 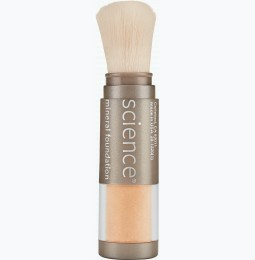 Explore our line of chemical free mineral makeup and choose the formula you favor most. Does your foundation contain SPF? Of course! You should never walk out the door without SPF on. We made it that much easier by saving you a step and including broad spectrum UV protection in our collection of natural mineral makeup foundation. 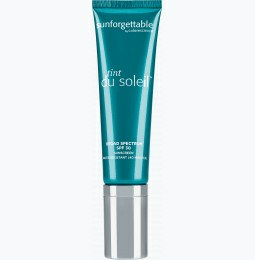 For added protection against sun exposure, pair your foundation with our healthy brush-on mineral sunscreen. Our formulas contain more than just added SPF; they deliver rich doses of vitamins and antioxidants to promote your skin’s health while concealing its imperfections. Can I find other healthy cosmetics by Colorescience? Absolutely. 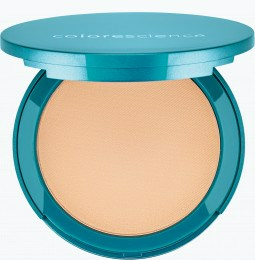 The Colorescience collection of chemical free cosmetics includes bronzers and illuminators, too. Complete your perfect foundation with a few strokes of our advanced, peptide blend mascara and choose your favorite shade of healthy lip gloss without toxins. Browse all of Colorescience products and switch to makeup that keeps skincare in mind.